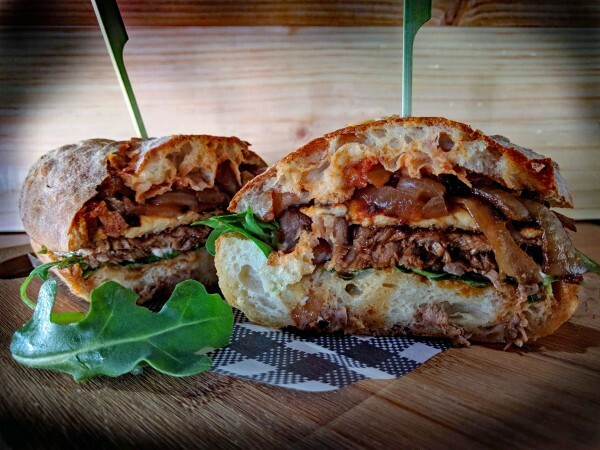 With slices of porterhouse steak and grilled haloumi on a warm ciabatta roll (courtesy of Eleni Barossa Hand-made) Stein's Taphouse 'The Nuri' steak burger is sure to appease your taste buds. It's perfectly topped off with Carmella’s delicious spiced tomato chutney, garlic dill aioli and caramelised onions. They’ve also added in a whack of roquette lettuce to ensure you’re not forgetting your greens! Need a beer to wash it all down? Stein’s suggest a Holgate Road Trip IPA as the perfect accompaniment to 'The Nuri'.